HOME > About Tax-Free Shopping > Visit SUDOHONKE, a sake brewery in Ibaraki Prefecture, renowned abroad! There's so much to learn at a sake brewery! 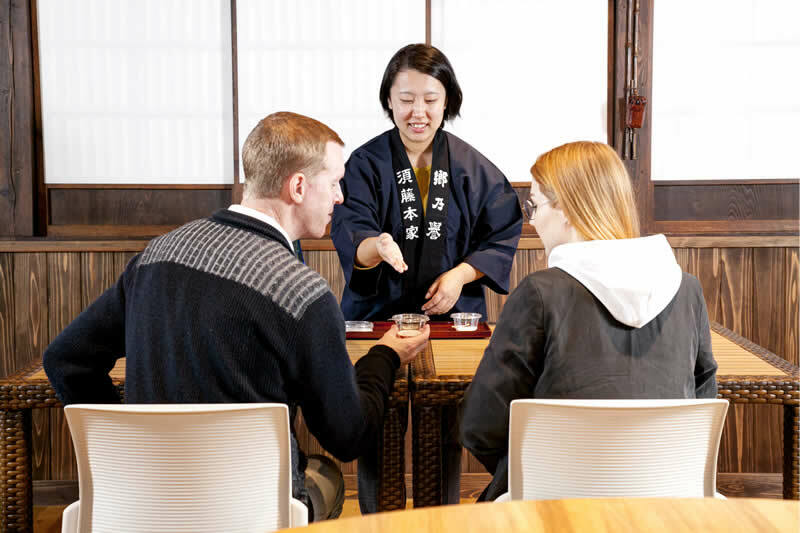 Visit SUDOHONKE, a sake brewery in Ibaraki Prefecture, renowned abroad! 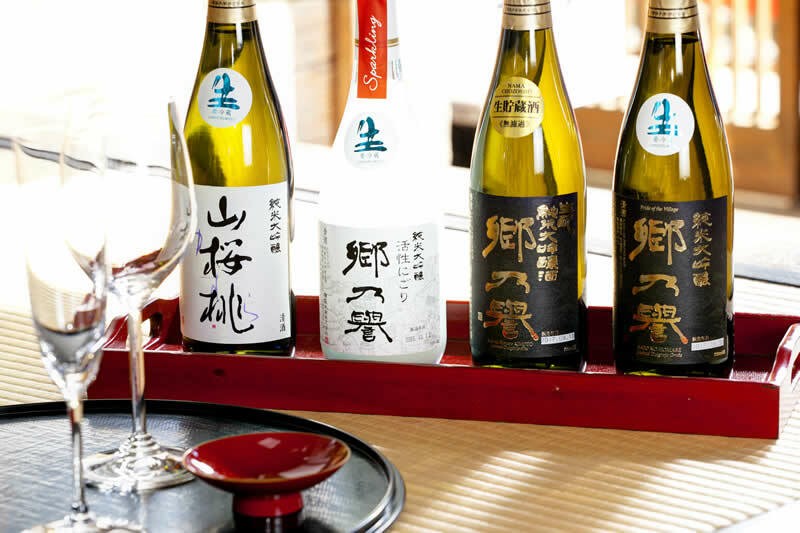 Go on a tour of SUDOHONKE sake brewery, located in Kasama, Ibaraki Prefecture, and approx. one and a half hours from Tokyo by express train! Many people visit from abroad to see this brewery built in a serene region surrounded by bountiful nature. Look forward to the different things you can see and learn as English guides are also available! For an understanding of Japanese sake, it is very important to also know the region in which the sake is brewed. Walk down a remaining wide forest path on which horse-drawn carriages used to pass one another from the remnants of castle precincts, and SUDOHONKE comes into view. There, you meet with the head of the brewery's family in front of a splendid gate. 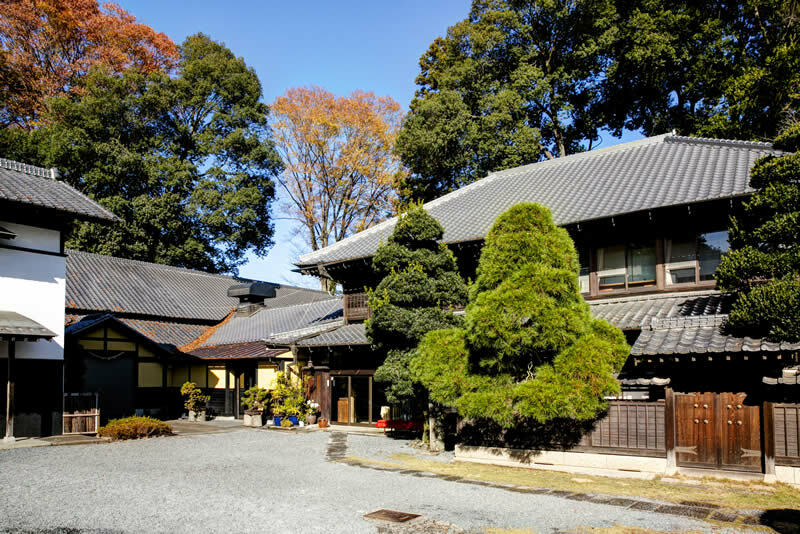 The premises feature a mysterious atmosphere with a huge bonsai tree said to be hundreds of years old, an old stone well built 800 years ago, and more. 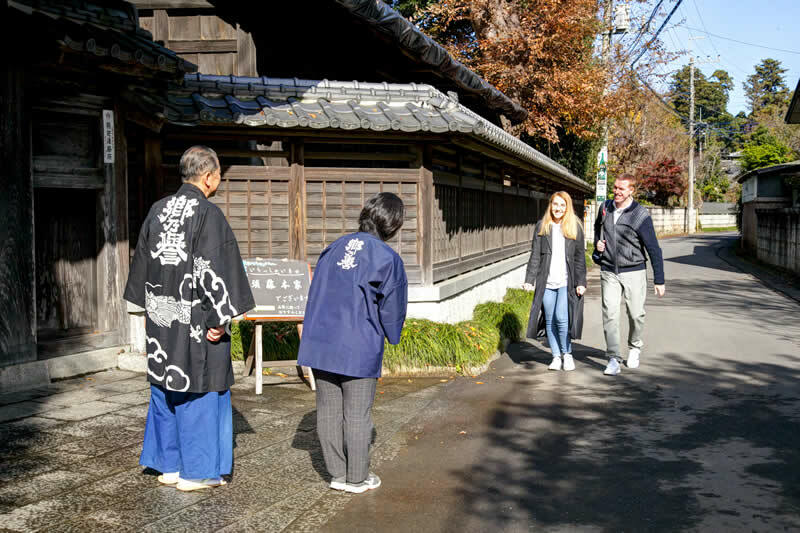 You begin your tour with an explanation of the rice used in sake brewing. Using locally grown rice, the ratio of polished rice is divided up in detail in accordance with the sake to be brewed. Don't worry; explanations are given in English for those from abroad. Watch the process of steaming the rice. This is extremely important work, resulting in an ingredient of sake. 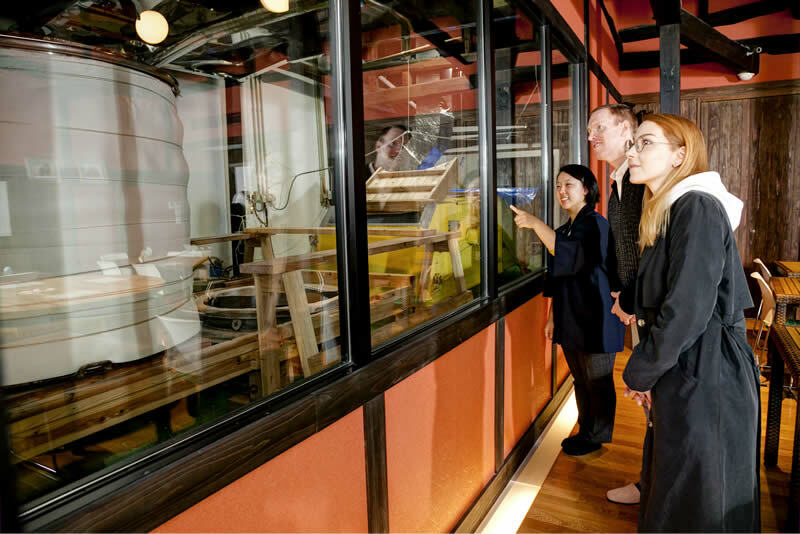 Those visiting gaze through a glass partition as bringing in outside contaminants is strictly forbidden in sake brewing. 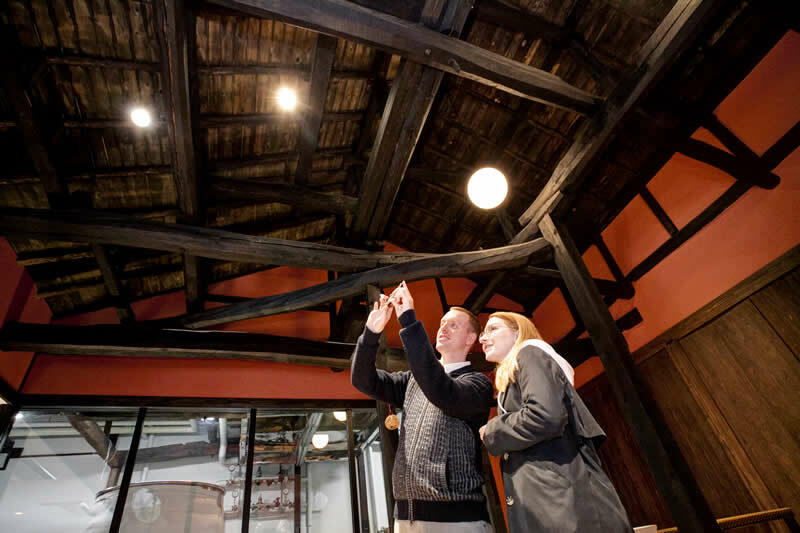 You can also look up at the ceiling and see the beams left just as they were at the time of the building's construction 150 years ago, feeling the powerful architecture of Japan's houses in the day. Enjoy to your heart's content the original fragrance of the Japanese sake you were waiting to taste in a wide mouth glass. Taste SATONOHOMARE KASSEI NIGORI with its refreshing flavor and pleasant carbonation, as well as the main brand, Junmai Daiginjo SATONOHOMARE KIMOTO and Black Label. 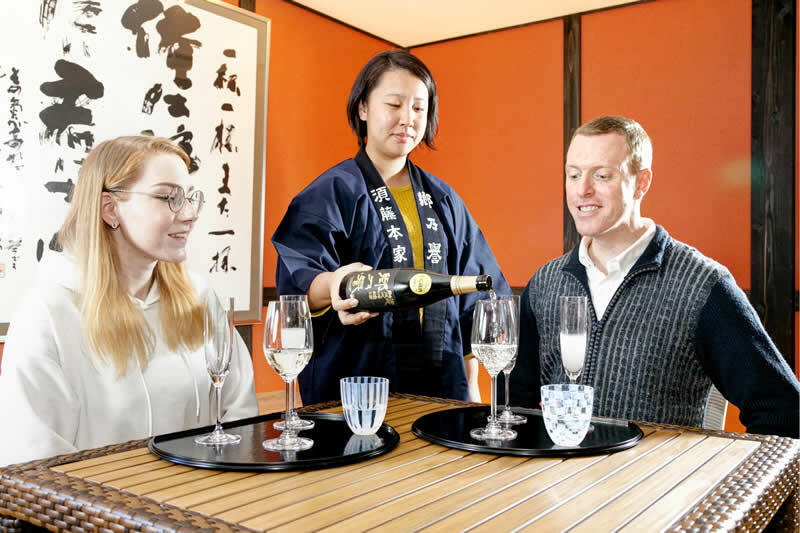 Even if you don't drink alcohol, you and your companion can enjoy sampling the water taken from underground which is used in all of the sake produced here. Buy some souvenirs after the tour is over. There are many more kinds of Japanese sake made at the brewery than the brands you tried in the tasting, so you may have a hard time deciding which one to buy. The head of the family brewery gives you his own recommendations. Help is given in English, and English pamphlets are available, so you can search for the sake of your choice. Of course, liquor tax is exempted along with consumption tax, so making your purchase at a great price is a nice bonus. Not only sake, but chocolate using Japanese sake and sake lees cookies are also available for purchase. A Japanese sake brewery said to have been founded before the year 1141. Surrounded by zelkova trees over 800 years old, it has long been familiarly known as "the brewery of the forest." The Japanese sake made here is renowned around the world, and many notable people from abroad have come to visit. Main brands include SATONOHOMARE, KAZAN, KAKUNKO, HANAAWASE, YUSURA, and more. Approx. 70 min. on the JR Joban Line’s JR Limited Express Tokiwa train from Tokyo Station to Tomobe Station (boarding pass: 1,944 yen, express fee: 1,550 yen). Approx. 15 min. by taxi or 30 min. on foot from Tomobe Station. Required. Reservations can be made by phone (9:00 a.m.–5:00 p.m.) or from the website.